Walk-in registration is available! Come join us, $25 entry fee. For Who: Pastors and Ministry Leaders that want to make disciples that reproduce the life of Christ in their ministry. What: Dann Spader will share on Christ's life and ministry and the pattern Jesus laid out for us: His Mission, His Model, and His Methods to make disciples that reproduce. The Like Jesus/Sonlife philosophy is now active in over 100 countries. As a ministry leader, I’m sure you resonate with Paul’s emotional words to the Galatians. How many times have you felt the very same emotions… seeking to see “Christ fully formed” in your people? While working for many years helping a large church develop a culture of disciple-making, I led a team of people who developed three resources designed to help the average lay person understand what it means to walk (I John 2:6), live (John 17) and disciple like Jesus (Matthew 4:12-16)… These three modules focus on Christ’s Mission, Model and Methods. Like Jesus is a collection of those resources, designed for your church or ministry that involved several years of research and development. It was created to help you “form Christ” in your people’s lives. The fruits of these transferable principles are being experienced around the globe in over 100 countries using these same principles that Jesus laid out for us in Scripture… proving them to be truly “transferable” for the average person. 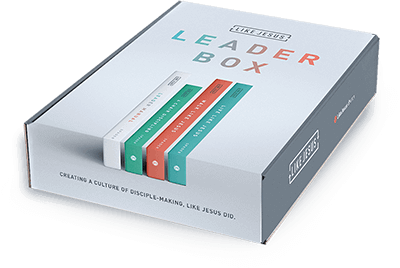 We can all live like Jesus and as leaders build a movement of multiplication like He did. For years, the passion of my life has been to help people see the “real Jesus” of the Scriptures. This Jesus worked with “unschooled ordinary men” (Acts 4:13) and in four years developed them into reproducing disciples who within 18 years “turned the world upside down” (Acts 17:6). That same Jesus then told us in over forty different ways to “walk as He walked” (I John 2:6) and “do what I have done” (John 14:12). Can you imagine the impact of your people as you spend time lifting up Jesus and teaching them to “walk as Jesus walked” and “do what Jesus did”? Acts 20:20-21 could become a new reality in your church with “repentance toward God” (we have failed to live and make disciples like Jesus) and a newly formed “faith in our Lord Jesus Christ.” Please Lord, help us to walk as you walked. We are excited to share the life and ministry of Christ and this new resource with you and trust the Lord will use it to form Christ fully in your life and your people’s lives. Learn more about the new resource at LikeJesus.church.